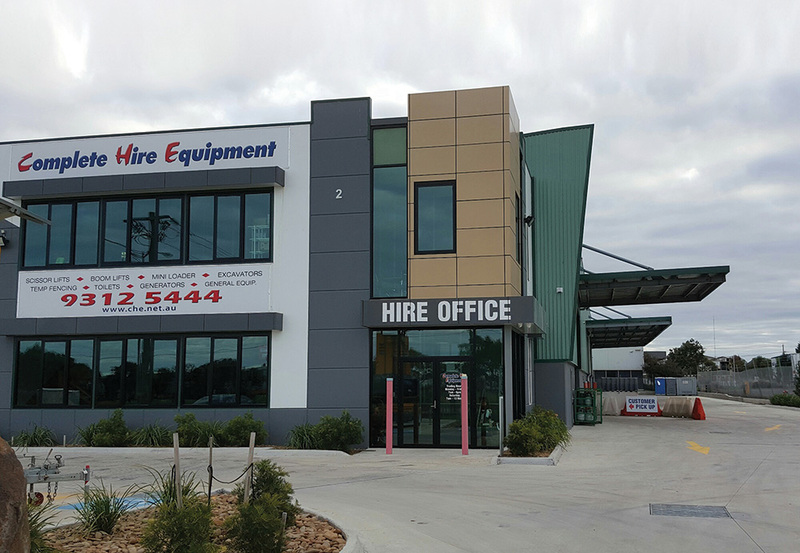 After launching from a small factory in Laverton North in 2003, Complete Hire Equipment’s rapid expansion continues, with the hire firm relocating to a shiny new, facility at 377-383 Grieve Parade, Altona North. As part of Complete Hire’s growth, the firm has added several new Genie® machines including two GS™-2669 RT rough terrain scissor lifts and a GS-3390 RT scissor lift. “We have also ordered a new Genie Z™-60/37 FE fuel electric hybrid (FE) boom lift and purchased three lightweight maneuverable lifts, the Genie AWP™-25 DC, AWP-30 DC and AWP-36 DC models,” said Batten. The decision to purchase the new rough terrain scissors was triggered by the need to upgrade older machines. “We have upped the ante with two additional RT machines due to increased demand from businesses involved in construction and other areas,” noted Batten.